Tough. Fairly fast considering protection level. Slower than many, but to be expected. When new hard to put on. Ok, I have been using Gaterskins on my Cannondale Super Six since new. I have had two flats on them. CAUSED by tube contact with the rims. I wrapped the rims with electrical tape and no flats yet.KNOCK on WOOD. The current set has 2500+ miles on them. The rear is down about 1/2 way through the wear indicators and the front shows signs of cracking. They are by far the best tire I have ever used. I wrote an honest and in-depth review in layman's terms on my with photos. Check it out if you'd like, it might help you make a better decision on this great tire. I've used it with confidence! 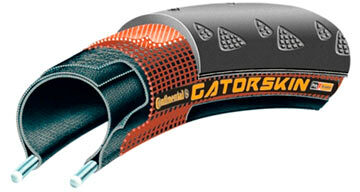 If you are considering the Conti Gatorskin for a tire, you are way, way, way, behind the times and don't understand that Continental is a technological tour de force that keeps on innovating while innumerable shmucks keep on thinking the antiquated Gatorskin is actually still a top level tire and even worse, is worth its outrageous cost. For about the same cost, you can get the vastly superior Continental Grand Prix 4 Season. This tire has the 3/330 casing VS the Gatorskins 3/180 casing. Then you get the double Vectron breaker VS the single PolyX breaker so easily more than 2X the puncture protection as a single layer Vectran is better than PolyX for flat protection and lighter and more flexible. 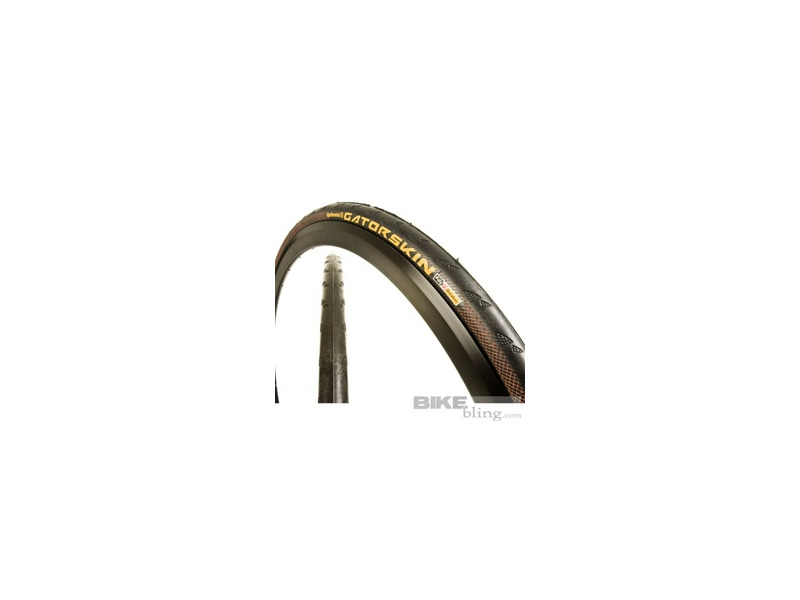 Then you get wide temperature rubber that is also formulated to excel in the wet and you have a tire that stands on the podium alone in the indestructible racing tire category. Tires like the Specialized Armadillo/Espoir series and Bontrager Hard Case series are a really bad joke compared to this tire. 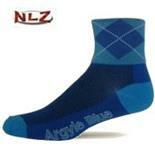 Not only are they less puncture resistant, they are much heavier, slower, and oh so much worse for value as well. When I change out an Armadillo for people, they are just shocked at how slow and harsh riding that Armadillo really was. The Gatorskin, too, has seen its day and it was a good tire before the 4 season cam out. Now there is no valid reason whatsoever to go to the Gatorskin anymore. 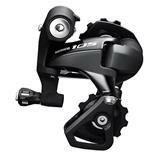 They ride well and corner well especially at high speeds. Seem to handle well in the wet. Short life span. Even with great care to avoid road junk and potholes I only get between 1,100 and 1,300 miles per tire due to holes in the sidewalls. At $50 per tire....very irritating. If Continental could fix the sidewall failure problem they would have a great product. Gatorskins are superior to Armadillos and the other tires I have tried. I have ridden this set just under 3,000 miles and the tires are still going strong. 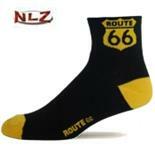 I am beginning to see some wear, but they are not worn out yet. I have yet to flat on these tires. This is the most flat resistant tire I have found yet. Quite frankly, I have stopped looking. These tires have been measured to have a few watts more rolling resistance then the very best racing tires. I have put more than 24,000 miles on Gatorskins since 2008, riding on crappy suburban/country roads in Northern Illinois and Wisconsin where cracks, heaves, pot holes and craters are daily obstacles. During that time I have experienced only 1 flat on Gatorskins, caused by rolling over a broken beer bottle during a moment of inattention. Tire wear varies from 3,000 to 5,000 miles depending on conditions, and they look good on my fancy carbon fiber road bikes. My weekly riding includes two 45 to 60 mile club hammer-fests at race pace, without a no-drop policy, with routes that roll through mosquito infested marshes and forest preserves, so I place a premium on not flatting. 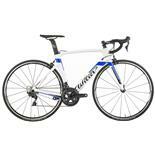 I have tried other tires like the Vittoria Rubino and Bontrager R3, and thought those tires were perceptibly faster. However, I experienced multiple flats with each of those tires before tread wear indicators demanded a tire change, and one particularly nasty pothole destroyed the sidewall on the Bontrager R3. By comparison, I have worn several sets of Gatorskins down to bare threads without flatting. I have supreme confidence in this tire. Normal tire pressure for my weight (226 lbs down to a current 194 lbs) has been 120 - 115 psi. 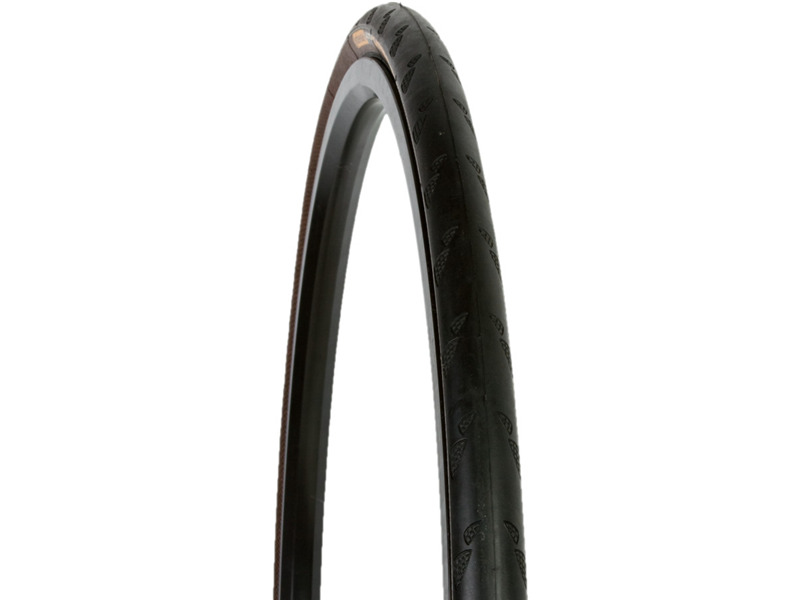 The 25mm tire seams to roll a little better than the 23mm, and delivers a noticeably smoother ride. 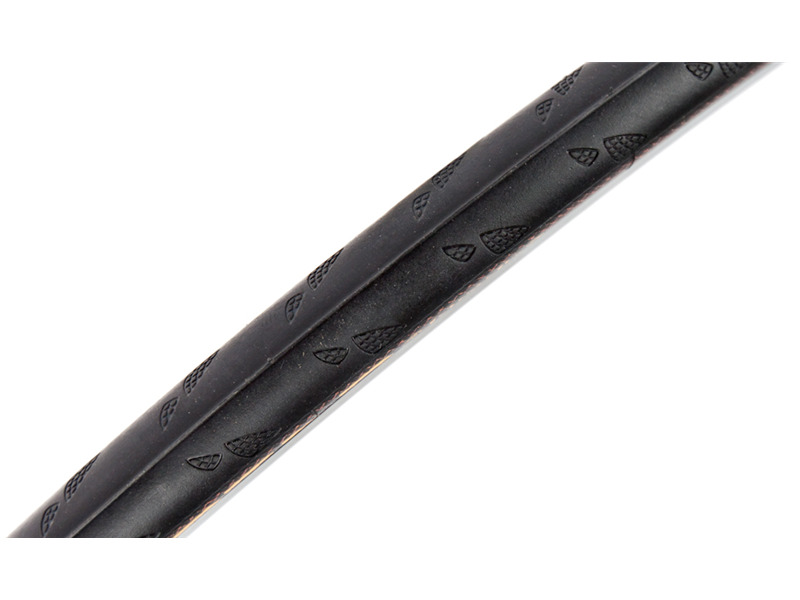 Automobile tires now routinely wear out and get replaced without flatting, why shouldn't your bicycle tires? 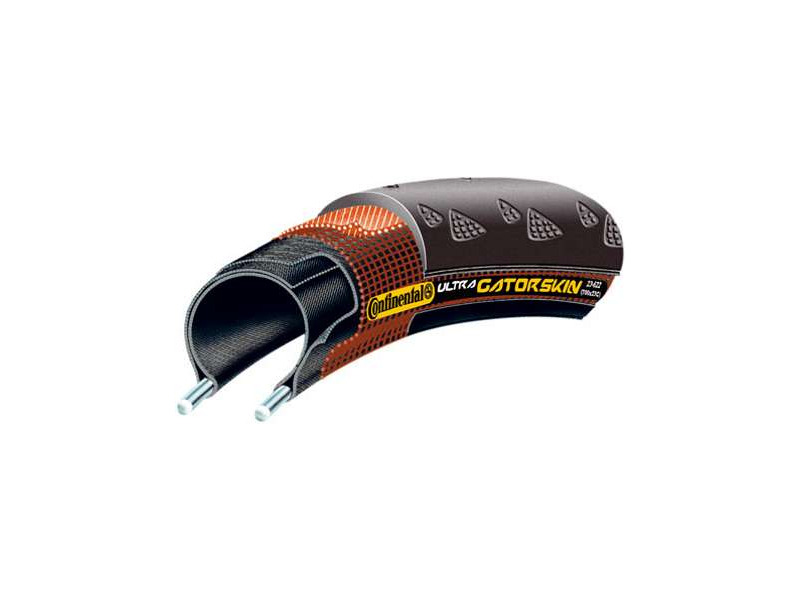 Gatorskins are probably the only bicycle tires with good all-around performance that will give similar service. 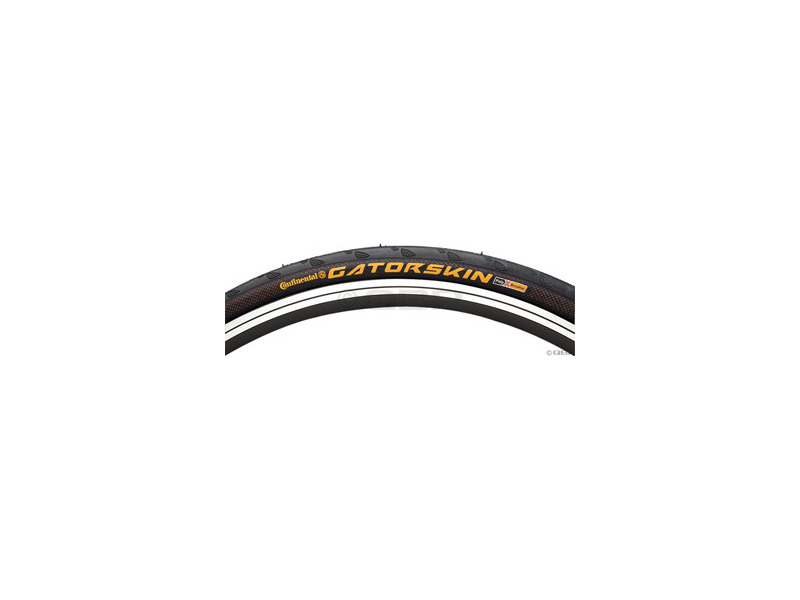 While I keep a set of Bontrager R3s around for occasional time trial racing, ALL of my other riding is done on Gatorskins. 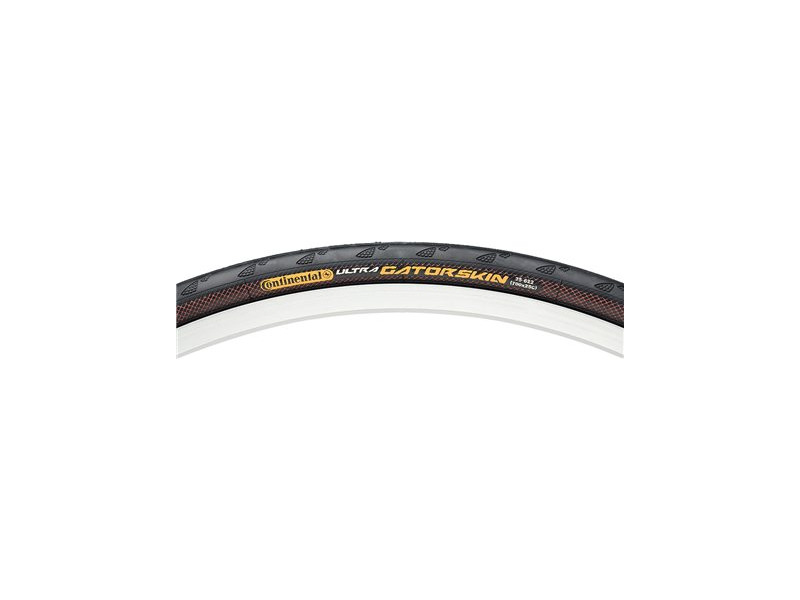 Vittoria Rubino Pro, Bontrager R3, Continental Grand Prix. The stock tire on my new Giant Defy left me with three flats in the first 200 miles of riding, so I spent $65 on the GatorSkin 700X23 I rode for 300 miles with no flats, then after the first one 2 more in just 150 miles. When I removed the tire the sidewall seamed awful weak.